where laws are determined by quantum mechanics. Ever wondered how to make something cooler than anything else in the known universe? We have. So much so that in just 10 years, we have transformed Bluefors from an idea into a market leading company that is focused on helping to solve the most fundamental questions and fascinating challenges at low temperatures. We operate in a world of cold, where laws are determined by quantum mechanics. As a group of physicists, scientists, engineers, and like-minded professionals, we are curious at the core. Bluefors has one mission: progress. Our story began with our prototype of a new generation dilution refrigerator, which, for the first time, allowed physicists from different fields to effortlessly and reliably reach temperatures near absolute zero. Where others would finish, we keep on perfecting. With innovative engineering and impeccable functionality, we combine the highest-end technology with scalable production processes. By re-thinking and pushing old boundaries, we have been able to set a new standard for cryogenics. Now, Bluefors is the world’s leading manufacturer of ultra-low temperature dilution refrigerators. But we are only getting started. We are here to refine our technology even further and make it readily available on an even larger scale. 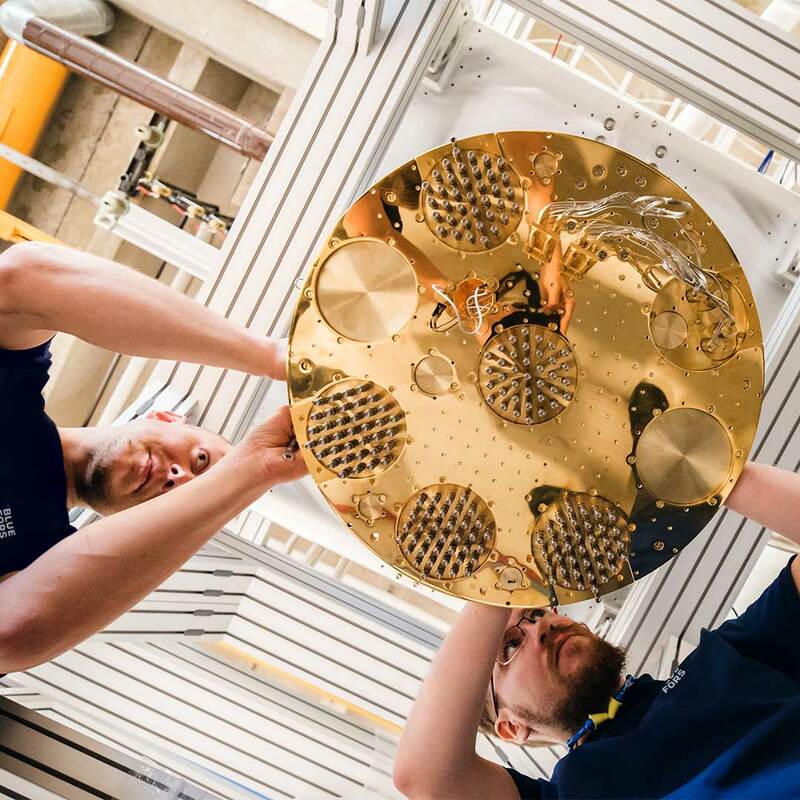 We are here to enable the quantum technology breakthrough, to support scientists and industries to go further, to allow new innovations, and to grow and care for our global community. For this, and to help you create something new, we have brought together the best minds. What we did with dilution refrigerators has already transformed the research community, and soon it will transform industries and our everyday lives. Bluefors – Cool for Progress. More about the update here. Read more about how we process your data in our Privacy Statement. Essential cookies are strictly necessary to provide you with services available through our website and to use some of its features.